Earlier this week, Apple announced iOS 8, with one interesting feature: support for third-party keyboards. That option has long been one of Android’s strengths and we have seen many keyboards try to revolutionize (and sometimes succeed, like Swype) the way we input text into our phones. The Play Store is full of such alternative keyboards, and it can be daunting to try them all. This is why we have decided to install many of them and pick out some of the best for you. Google Keyboard is currently my choice for a keyboard on Android. I know, that sounds dull and limited, but it works, and it does so better than any other keyboard I have tried. I was a Swiftkey user for 2 years before Google released their own Keyboard, I decided to give it a try, thinking I would be back on Swiftkey in a few hours, but I found it to be fast and accurate. When I switched back to Swiftkey, I noticed a small lag in input compared to Google Keyboard. I asked around and it wasn’t just my opinion, so I decided to stick with Google. Google Keyboard has good corrections, a gesture input method à la Swype, Emojis, great spacing between different keys, and supports a lot of languages. Swiftkey is the most popular third-party keyboard on Android, and for good reason. Its predictions are excellent and it even manages to learn your habits and predict your next word before you even write it. Swiftkey’s predictions are based on what you teach it (it can learn from your contact list, Gmail, Twitter, Facebook) and what is popular on the internet, making its dictionary always accurate and up-to-date. Swiftkey can also have 3 languages enabled simultaneously, allowing you to switch between them seamlessly. Its Cloud feature syncs your personal dictionary and typing insights across devices. It supports themes, and has multiple layouts for phones, tablets, and phablets. It also supports swiping for an excellent all-around experience. Minuum launched as an Indiegogo campaign, and its promise was a one-ligne keyboard that doesn’t obscure your screen. It delivered on its promise, with a keyboard that looks hard to master but is actually quite intuitive once you stop consciously thinking about it. Minuum has evolved a lot since its first release, including a full regular keyboard and multiple panes for emojis, cursor controls, clipboard tools, and dictionary and thesaurus. 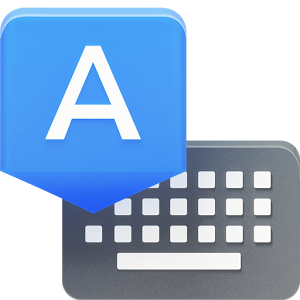 TouchPal X borrows a lot of the popular features of many other keyboards and incorporates them into one free and ad-free app. 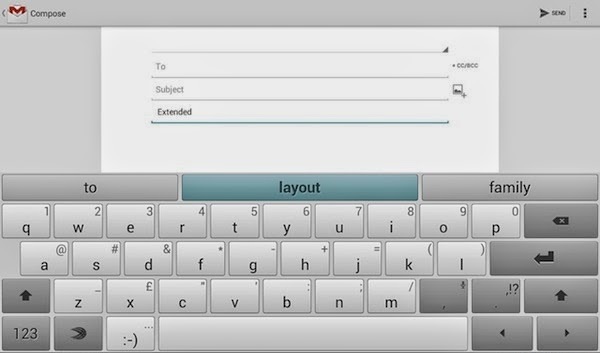 TouchPal offers themes, layouts, swipe input, cloud sync, contextual predictions, and word trends like Swiftkey. It also adds emojis, and gestures to input numbers and special characters. There’s a Store where you can purchase additional themes and specific dictionaries, but for most users the free version of TouchPal will be more than enough. With almost the opposite approach of TouchPal X — which crams as many UI elements as possible — Fleksy focuses on a simple interface devoid of any unnecessary clutter. Fleksy’s corrections are accurate and aided by learning your style from email and social accounts. Its first unique feature is the use of gestures to insert a space, erase the last word, and cycle through predictions. Its other weird yet very awesome killer feature is the invisible keyboard, a transparent layer on top of the screen with no visible buttons. If you’ve memorized the QWERTY keyboard layout, you can type as accurately on it than with a regular keyboard, except that you can see the whole screen at the same time.